From the Menaion: With faith and love do we all honour thy memory today, O heavenly man and earthly angel; for thou wast a true desert dweller amid this greatly turbulent world. Having mortified all the passions thou didst attain spiritual heights hard to see, and was truly a most splendid miracle in the midst of the darkness of this age. Wherefore, we marvel at thy great glory in heaven, and with compunction we celebrate thy glorification. (Source) Saint Bede was a church historian who recorded the history of Christianity in England up to his own time. When he was seven, Bede was sent to Saint Benedict Biscop (January 12) at the monastery of Saint Peter at Wearmouth to be educated and raised. Then he was sent to the new monastery of Saint Paul founded at Jarrow in 682, where he remained until his death. Saint Bede was ordained as a deacon when he was nineteen, and to the holy priesthood at the age of thirty by Saint John of Beverley (May 7), the holy Bishop of Hexham (687), and later (705) of York. In honour of the Sunday of St. Gregory of Palamas, here is an excerpt from my second book, The Sweetness of Grace: Stories of Christian Trial and Victory published by Ancient Faith Publishing. It is from Chapter 7, “Blessed are the Peacemakers for they shall be called sons of God”, pp. 214-216. To read more stories, you can purchase an e-book or paperback copy from the publisher here or on amazon here. I would do a great disservice to the great saint and co-protector (together with St. Demetrios) of Thessaloniki if I were to write this whole book and not mention our father among the saints, Gregory Palamas, Archbishop of Thessaloniki. You can hardly go two paces in that Byzantine city without being reminded of the various local saints and historical faith of the Thessalonians. But two places in particular always occupied a special place in my heart: the church of Hagia Sophia, where St. Gregory preached against the Barlaamite heresy, and the Cathedral of St. Gregory Palamas, in which his relics reside in a side chapel covered in icons depicting his life. Any time I was downtown, I made a point to venerate his holy, fragrant relics. In a city like Thessaloniki, the cloud of witnesses feel more like companions, such is the intimacy of their presence. In many respects, life there is a living continuation of the Scriptures, and the many churches, sites of martyrdom or imprisonment of saints, and holy relics are enough to make you forget the modern world and enter into the spiritual world. Practically every night you can attend a vigil in the city. The vigil service according to the Greek Typicon begins with Small Vespers, followed by Compline, Great Vespers, Matins, Hours, Liturgy and finally the Ninth Hour. These vigils can last up to five, six, or more hours. They usually end well after midnight. 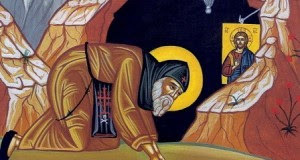 I remember one we went to in the heart of town for the feast of St. Gregory Palamas (November 14). During the Matins service, when the life of the saint is read from the Great Horologion, one of the chanters proceeded to the middle of the church to read a long version of St. Gregory’s life. Looking at this young man in his long, black chanter’s robe, standing before the royal doors with only vigil lamps and a lone candle stand illuminating the passage he read aloud, it was easy to be confused as to whether it was the first or twenty-first century, whether we were on earth or in heaven. Coming out of a vigil like that, you felt as though the whole city was more sanctified, as if the stones and stars themselves had participated in our celebration of the Bloodless Sacrifice. O Thessaloniki, the city Apostle Paul wrote to, preached in, wept over; the city St. Demetrios fought for and continues to protect even after his martyric death; the city St. Gregory Palamas guided, instructed, reprimanded, and loved! 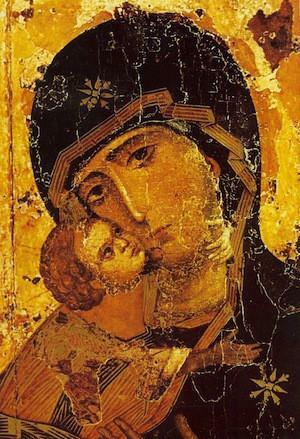 Through the prayers of the great hesychast and of all saints of Thessaloniki, may you always remain blessed. Today is the feast of Sts. Perpetua, Felicity, and their companions. Their story is one close to my heart. St. Perpetua wrote the account of her and her companions’ baptism and subsequent imprisonment. She was one of the earliest female writers whose writings have survived until today. Below is a historical fiction novella I wrote, using Perpetua’s own account as the foundation. 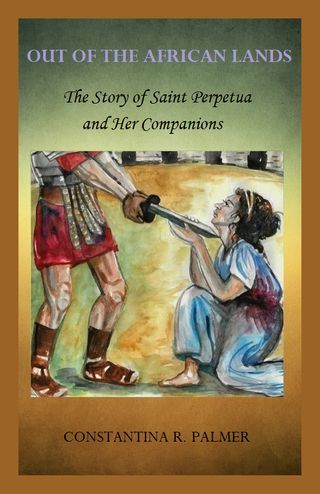 In modern language it opens the door to St. Perpetua’s experiences; it invites the reader to feel the saint’s anxiety, her anticipation, her zeal and her commitment to die for Christ rather than live by denying Him. Purchase your copy HERE. Read an excerpt HERE. TO READ THE REST OF THE AKATHIST GO HERE. Below is an amateur translation I did. It’s an excerpt from Λόγια Καρδίας (pp. 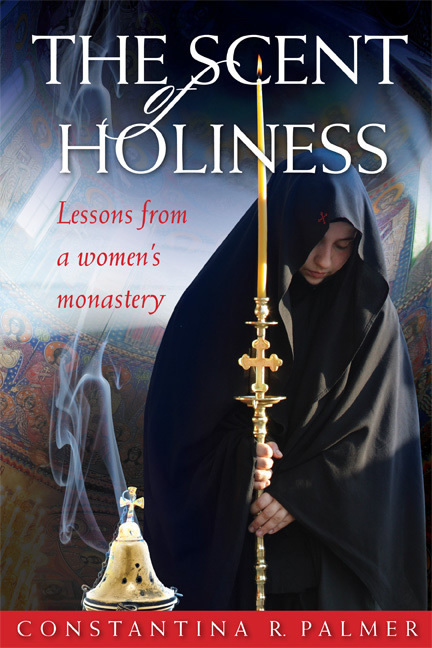 246-250), a collection of homilies by Abbess Makrina of the Holy Monastery of Panagia Odigitria in Volos, Greece. It is a beautiful story that tells of the great rewards God has prepared for those who practice patience when confronted with great trials and temptations, and the spiritual exhalation the soul experiences when we abstain from passing judgement, even on those who openly hate and harm us. I will tell you something else, again from experience. Once a sister in the world wanted to say something about me that didn’t happen to me; it was slander. For the glory of Christ I tell you this. Was it a temptation that put her up to it? Was it from hatred? Was it from jealousy that she did it? In any case, I said many, many prayers for her, I mean many prayers. I cried neither for my father, nor for my mother as much as I cried for this sister. With much pain I cried and I said: “My God, save me, help me, give me strength.” The prophet David said: “Deliver me from the slander of men and I will keep thy commandments” (Ps. 119: 134). I felt a great deal of pain inside. I made the sign of the cross and I got into the vehicle. We proceeded to a beautiful turnpike. I saw a church in front of us – it was like looking at the church of Panagia in Tinos – such a nice church, it was bright, resplendent! I made the sign of the cross as I passed by. Across the way, toward the east, was what seemed to be a palace. The door to the palace was huge, just as doors are in large buildings. There in the middle of the doorway was the Queen, who, from her neck up I couldn’t see on account of the light of her face, because she was shining so brightly. I saw her resplendent sandals; she wore a feloni and vest, each had two inches of piping embroidered around them. Two lines were configured in front of her: one line with children who were wearing lace and ribbon in their hair, dressed just as the angels are, while the other line seemed to be composed of widows, as though they were nuns, wearing monastic clothing, just like we wear. Although Gerontissa calls this woman “sister” it seems that she was a laywoman. A feloni (φελόνι) is a chasuble, which in its origin was a traveling garment in the late Roman Empire. It is like a poncho, a circular garment with a hole in the middle for the head. It is a tradition in Greece for widows to wear black head-scarfs and dress. Gerontissa Macrina’s name before monastic tonsure was Maria.